Neutrals can take you just about anywhere you want to go…at home, that is. whether they are warm, cool, light, or dark, as well as their undertones and saturation levels. 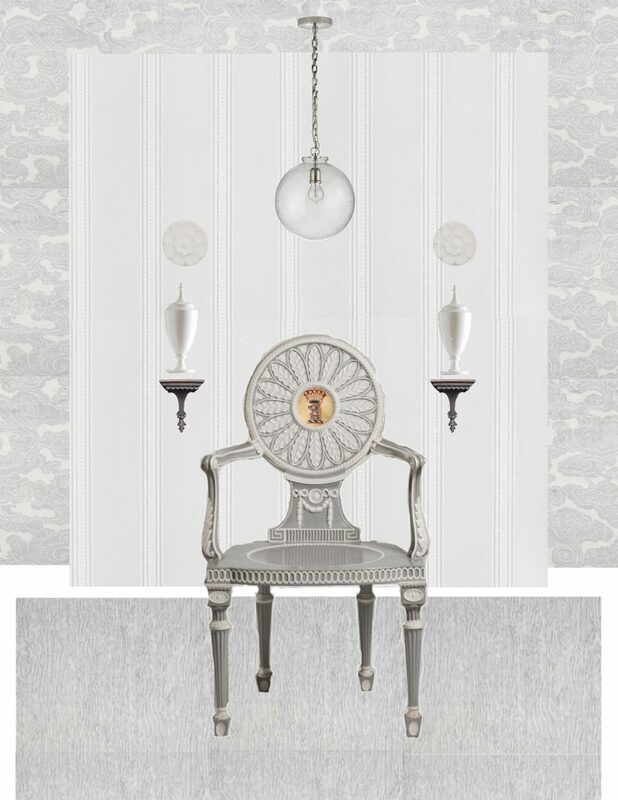 Today, I begin discussing how to use neutrals and their various properties in interiors. Basically, there are two main ways to use neutrals in interiors. This means an all neutral or predominantly neutral interior. This means an interior with anywhere from an equal balance of neutrals and color, to very little neutral. even if there is very little, it is an important very little. This can be done in multiple ways. I’ll begin with the simplest and most difficult of all. Just like it says, this is where the space is a single neutral in one value. Phoebe Howard’s bedroom from my last post is a good example. There’s some dark wood, white and straw color to ease the palette but it’s pretty much one color, beige. This approach can be austere but this bedroom is not that, due to the personality of the furnishings and the details mentioned above. Besides which, beige can’t help but warm things up. Perfect for a bedroom. I’m not saying any beige is perfect for a bedroom. We’ve all seen boring beige, but this beige, used this way, works. 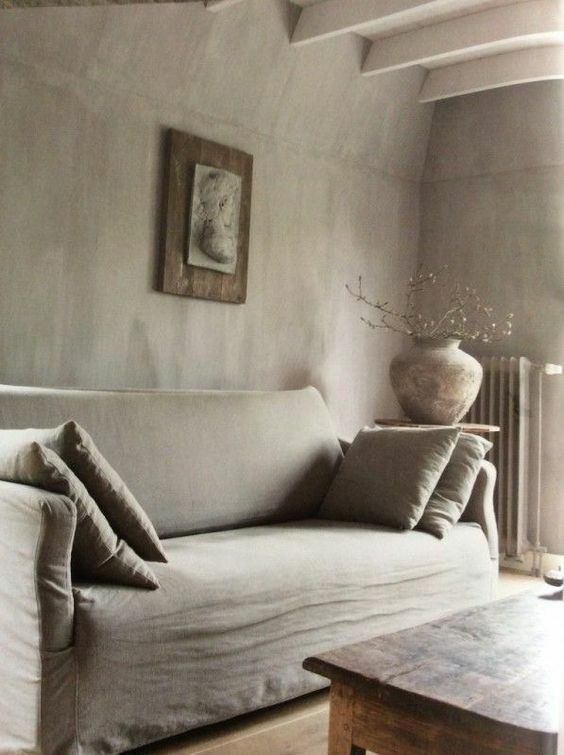 Here’s Axel Vervoodt, the Dutch master of neutrals and wabi-sabi, doing the monochrome. The paucity of furnishings, their simple lines and this bone-dry single tone creates an overwhelmingly monastic vibe. Reminds me too much of a prison cell. Not that I’ve ever actually seen one. But I’ve read books. The beams on the ceiling do offer relief from all the smooth, flat surfaces. even the branches in the vase are pretty much bare. Compared to this, the first bedroom above feels like a warm hug. But it is monochrome and that is the point of showing it. but this time she uses value contrasts. It’s still all warm, but she adds dark and light elements– a dark beige wall with pale patterned chairs and a sisal coloured rug. Once you add varieties of light and dark, the field of possibilities opens way up. 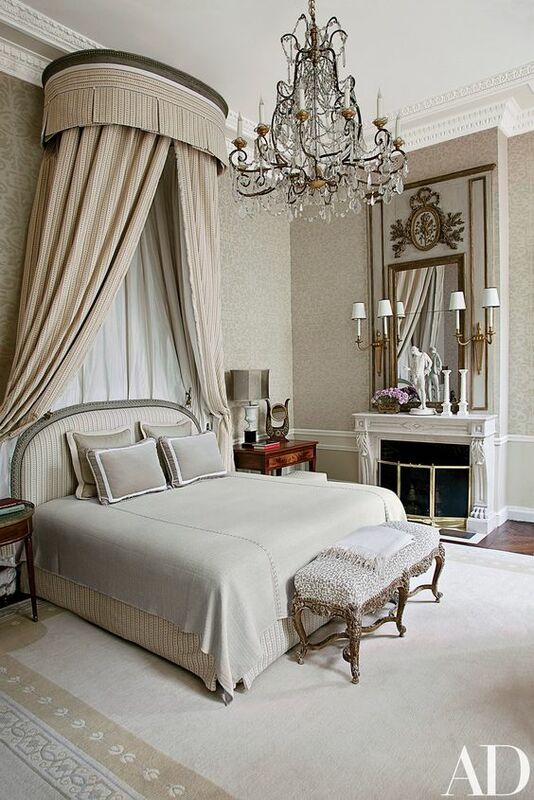 Below is a neutral bedroom with contrasts of undertone. Jean-Louis Deniot via Architectural Digest. and dark ( side table and detail on the mirror). all slight undertone shifts retaining similar range of lightness or value. Let’s get back to the single tone monochrome, without light and dark or undertone shifts. 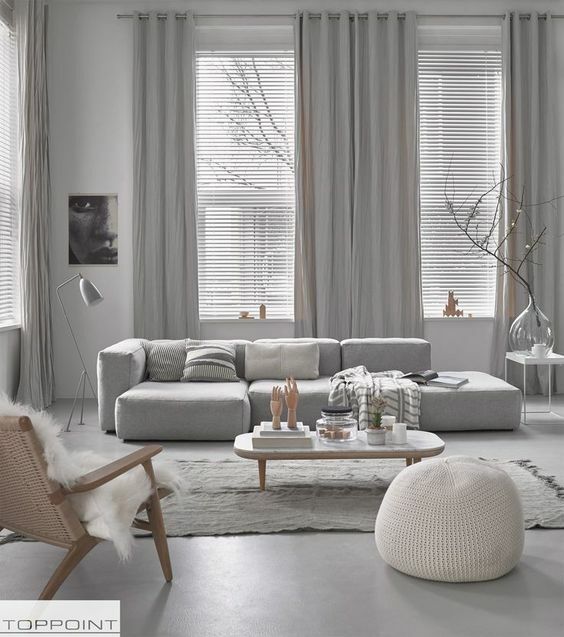 Here’s a sitting room in a cool, grey monochrome, albeit broken up bit by some white and a few spots of a warm neutral. It’s hard to find an exclusively monochrome interior. Or at least, a good one. Cool and contemporary but not as austere as the Veervoodt room. 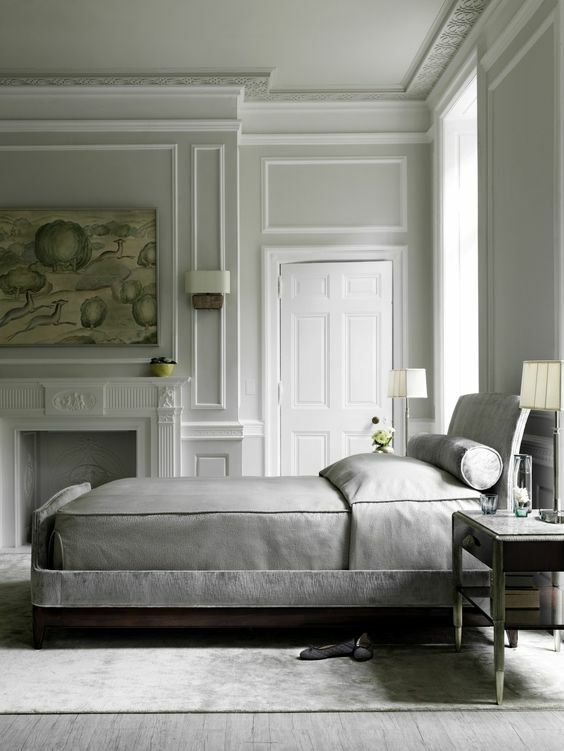 Here’s a monochrome grey bedroom with a few punctuations of warmth. A monochrome interior done well can be very elegant. Done well means with sensitivity to form (shape and composition of elements ) and subtle use of value or undertone contrasts. On a side note, I often see texture suggested as a means to enliven a neutral interior but that I think can quickly become a cliche. Best to think through what suits that particular environ rather than use a formula. This, in fact, applies to any aspect of design. I made this board as an exercise in composing in cool grey. The chair is actually a warm grey but the overall impression is cool. I mixed in a couple low contrast patterns for liveliness. It’s not a complete idea but it gets the feeling across. To further develop this space, I would introduce more contrast, as seen in the dark brackets and the white urns. Personally, I prefer the vitality that contrasts provide in an interior. But that’s just me. Someone else might prefer the subtly of an all monochrome palette. I think it takes an intense, focused personality to pull off a monochrome interior because it requires a fierce amount of editing. Next post will be about using contrasts. I do appreciate my readers!